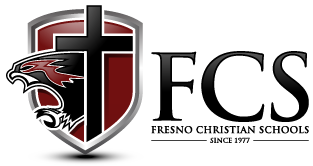 It is the goal of Fresno Christian Elementary School to provide, in partnership with the home and local church, a Christ-centered education that will be the foundation for life and service that honors God. This is accomplished through biblically based teaching, incorporation of worship, and academic excellence. Our elementary classrooms provide a nurturing environment and the attention of a teacher who loves God and loves your child. Smaller class sizes provide greater opportunity for individual attention to your elementary aged child, as we build the base upon which their academic career will continue.